Ludo Game Djeco is a classic game which has been played in many forms over the years. Many will remember it as Trouble. 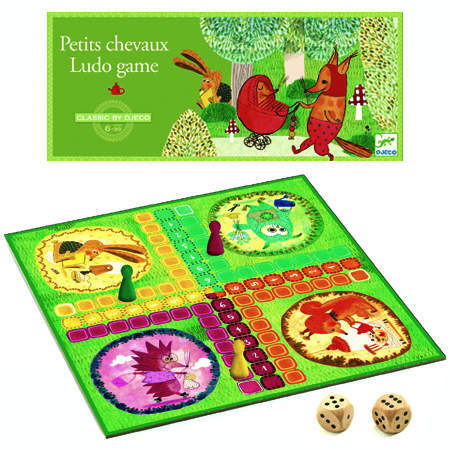 This version made by french company Djeco is beautifully illustrated and a joy to play. The idea is to get all your pieces around the board and safely home. However other players pieces can stop you and send you home. A wonderful game which encourages the use of strategy and just plain fun. Material: Wood, heavy duty card. We like this because: "A favorite when I was little and beautifully made ."